It's always nice to get to know unknown musicians, as with this duo of Artur Mackowiak on guitar, synth and electronics, and Grzegorz Pleszynski on plastic tube trumpet and voice. They are joined on the first track by Jerzy Mazzoll on clarinet, who is a musician we do know in the meantime. It's a short CD, fourty-four minutes in total, offering us rock-influenced arpeggio guitar with distant plastic tube trumpet sounds (and mixed in clarinet sounds on the first track). It's atmospheric music, floating effortlessly forward, repetitive and easy, once in a while some drama is added with heavy beats. 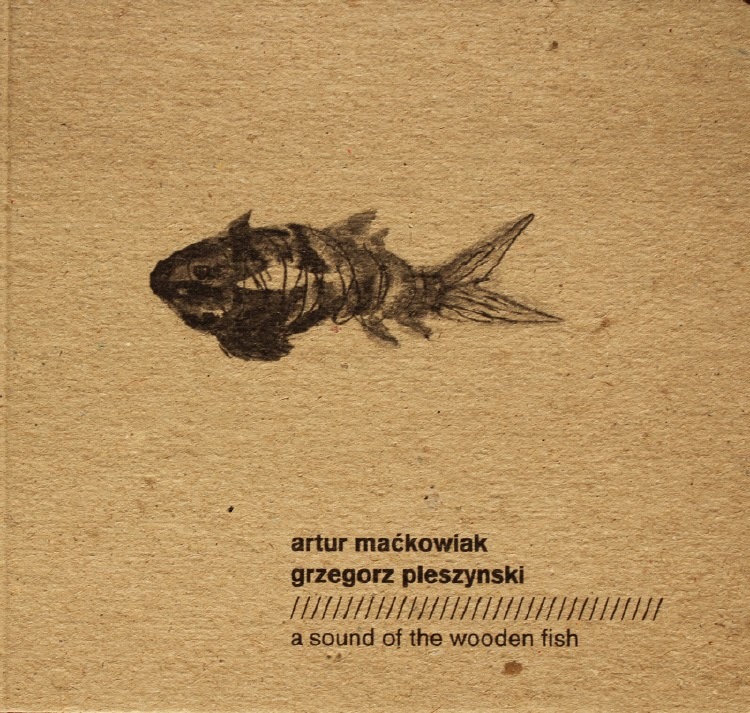 Mackowiak's approach is somewhat in the style of Loren Mazzacane Connors, dark sound sculptures on electric guitar with slight changes in the overall texture, with the single tone plastic tube trumpet howling over it, sometimes beautifully, but nothing that will wake you up from the contemplative listening this music requires, and that is maybe the downside of their approach, namely that few risks are taken, and what is true for sports is also true for music : you cannot win if you are afraid to take the risk to loose. Yet it will be interesting to hear how their concept matures. 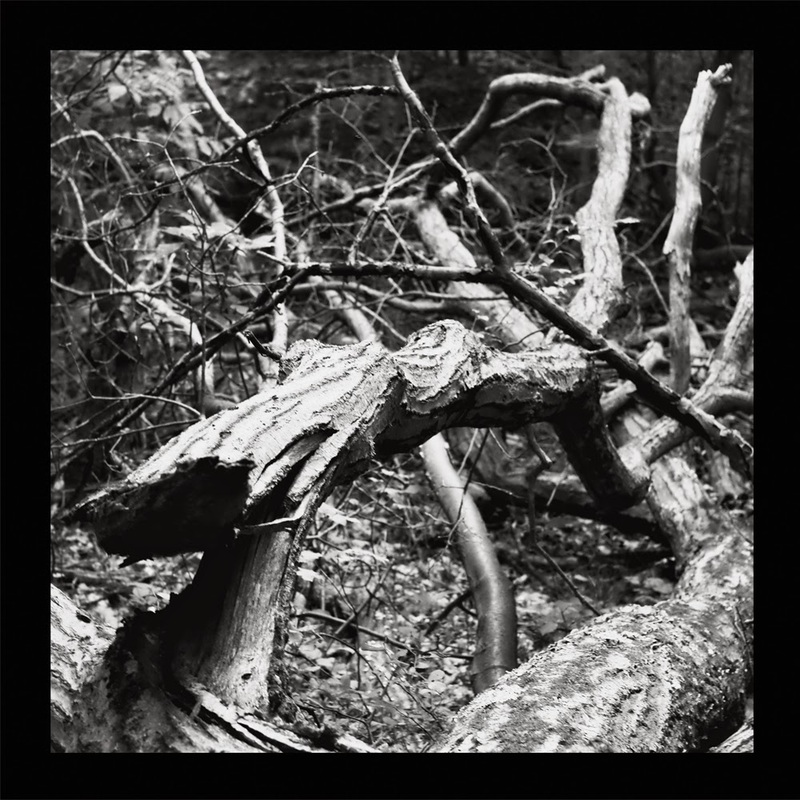 A round up of some intriguing solo recordings that have come to our attention in recent months. Get it while you can! 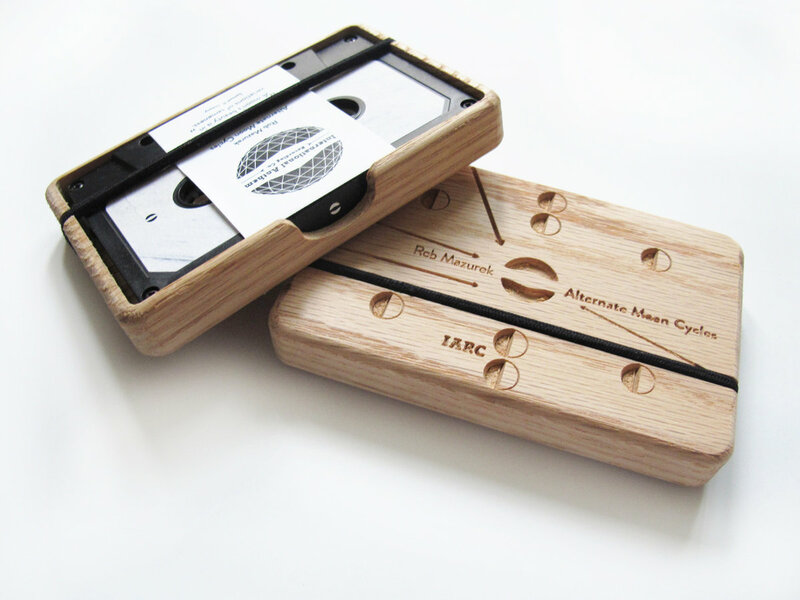 This treat of a tape release from Gold Lion Arts is a scant run of 75 copies. Featuring the always excellent Vinny Golia on singing bowls and various woodwinds, Solo is 30 intimate minutes of performance. Side A features an intense sax workout, that after reaching the apex, is followed by what sounds like a wood flute or recorder and then the clarinet (Golia has an amazing assortment of wind instruments). Side B is a continuation, where Golia breaks out the bass clarinet (always a joy to hear!). 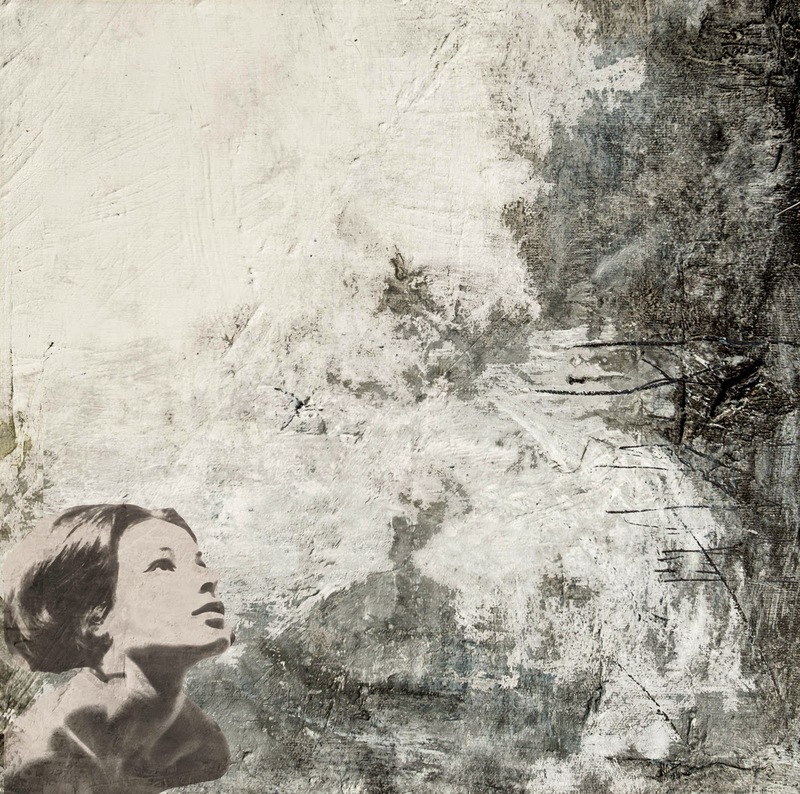 Amy Reed is a guitarist and painter from Sacramento, California, home to the Gold Lion Arts performance space where she recorded this evocative solo guitar piece. Like some of her paintings, in which the abstract is met with precise strokes of paint and large open spaces, her extended technique solo guitar work takes advantage of similar motifs. The short tape release sees Reed creating an expectant atmosphere, pulling out all sorts of sounds from her instrument, from long pendulous swings to fine crackling bursts of bristling notes. Am I biased on this one? Sure, why not. 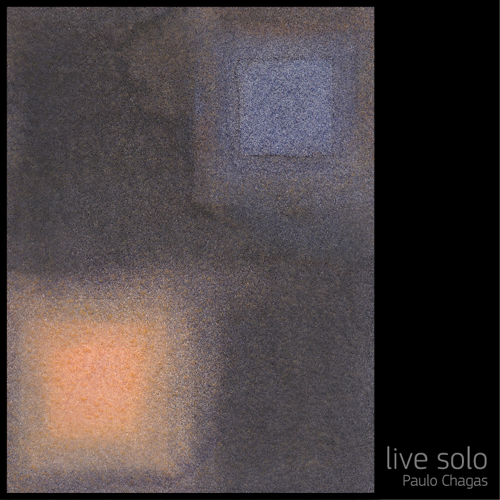 I had the honor of writing liner notes for Chagas' album Solo Saxophone, which I enjoyed greatly, and so chances were low that I not enjoy this follow up live album. Recorded live in the studio, the tone is dry and the sound clear and the album captures Chagas’ imaginative playing in intimate detail ... and it all starts with a squeak. The intro track sets the mood and clears the palette. The follow up ‘Pentola' begins with a gentle melody as Chagas introduces rhythmic breaks and stops to give the music a certain buoyancy. The melodies unfold with their own internal logic, and though you may wonder where you are by the end of the tune, you have no problem knowing how you got there. Enjoy (it’s a free download). My colleague Stefan already reviewed this one a few months ago, but I wanted to revisit it as I have now had a chance to catch the saxophonist play a couple of times, each time coming away more and more impressed. Ceremonies Out of the Air really crept up on me slowly. The music comes from somewhere deep and personal, as its creation has a lot to do with the emotions surrounding the passing of his mother. While there are moments of mourning, the music rather is a huge, deep, breath that just pours generously out over the course of the double album. 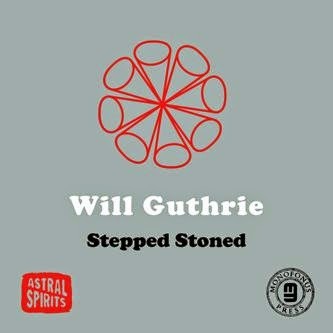 Will Guthrie is a France based drummer who works with several different groups like the Ames Room and Ellwood & Guthrie, but who also has been amassing a body of solo work. I wrote about his last album Sticks and Stones and Breaking Bones in 2012 and am happy to be following up with Stepped Stoned. 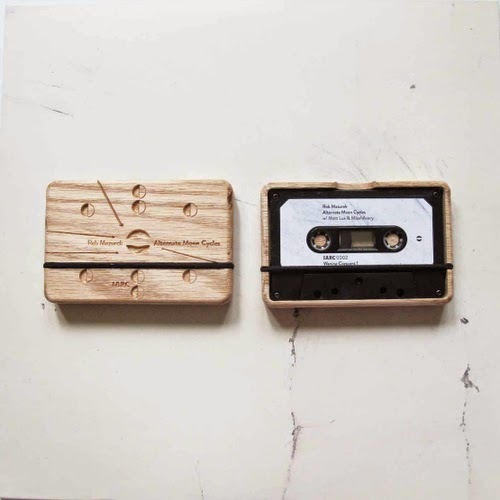 Side one of this tape release takes a while to pick up, about four minutes of nearly silent tape runs, with a small sound growing stronger until a strain of incessant clatter, atmospheric cymbals and ghostly kick drum hits fill the space. About five minutes into side two (a continuation of side one), Guthrie involves more and more of the kit, until hitting a peak and slowly coming down. A captivating listen. Recorded live in Calgary, Scott Munro creates something otherworldly with his baritone guitar. It’s a morphing shape of sound, sculpted from feedback and scratches, drones and percussive hits. 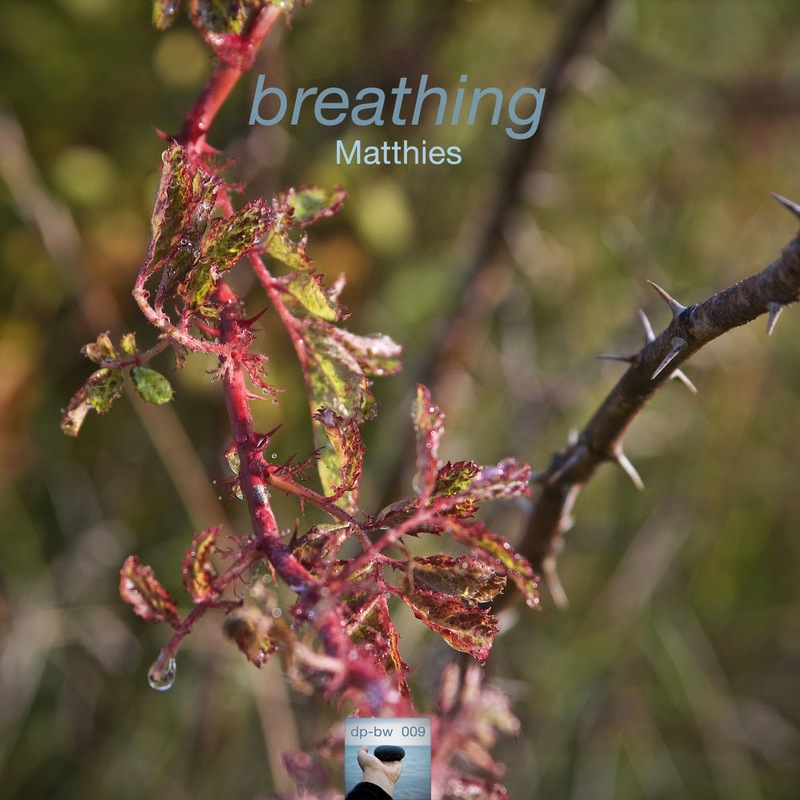 Track one is slow, ambient, lugubrious, playing out over fifteen minutes. Track two begins with scattered picking, like a shower of broken glass, and about 5 minutes he begins introducing drone tones and sharp edged tonal clusters. The song fades into white noise … haunting. 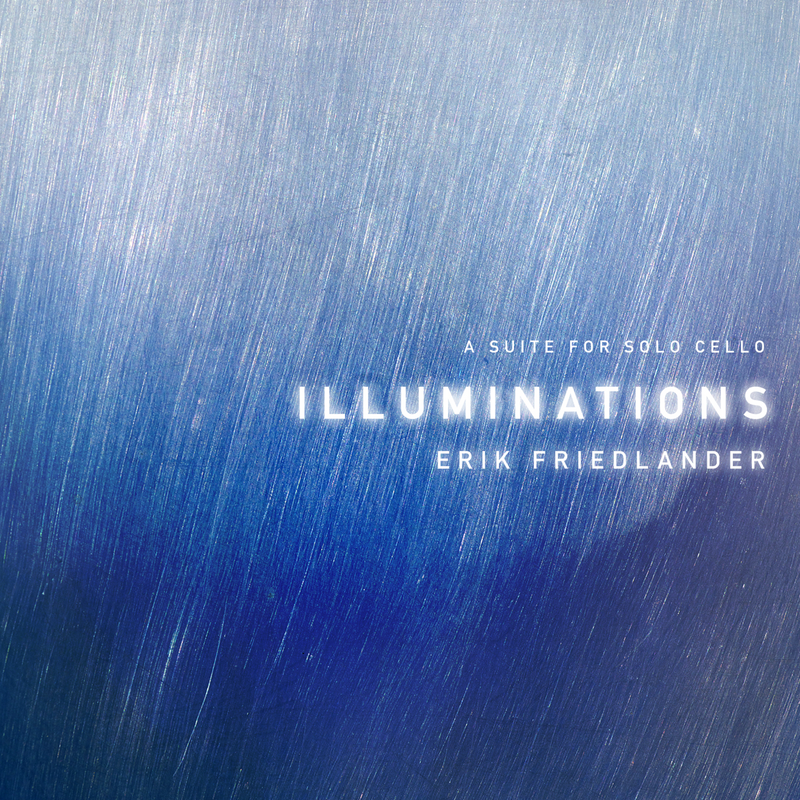 This solo cello album is utterly gorgeous. 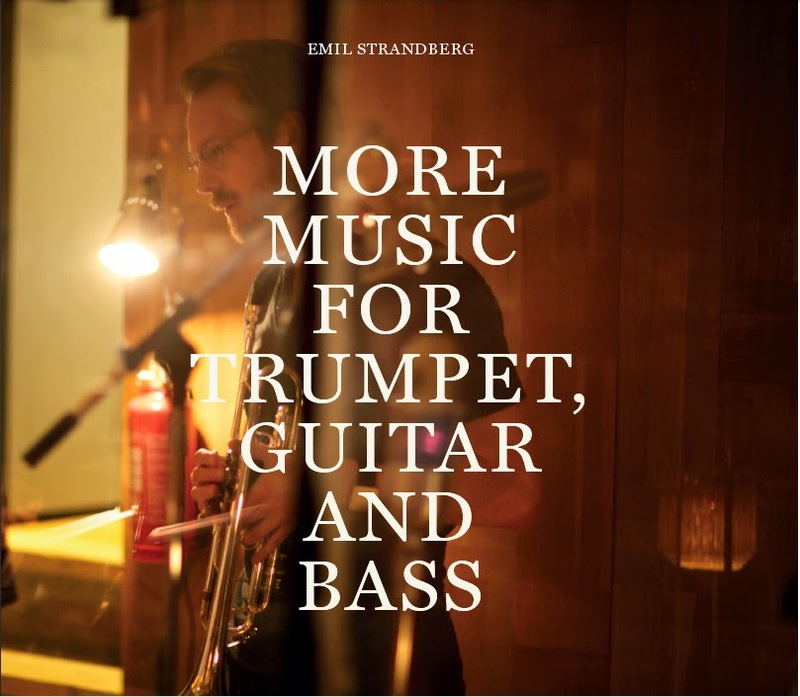 Straddling a line between classical and world music, Friedlander digs deep into the instrument and delivers an album of stunningly beautiful melodies and captivating motion. The rich tone he gets from the cello is reason enough to hear the album. I just wanted to give this one a quick mention in this solo round up - Illuminations should be receiving a longer review on the blog soon. Mirbeau is a guitarist living in Brooklyn. His solo EP recording is a crispy, crunchy, free form blast of guitar that should provides quick satisfaction to the thirsty sonic adventurer. Though he is referencing track names from Miles Davis' cool jazz period (Cookin, Walkin, Steamin, Relaxin), the four short tracks on White Blues are all his own. From Drums & Drones. Music by Brian Chase, drummer for the Yeah Yeah Yeahs, video by New York video artist Ursula Scherrer. Well here's a treat - the slideshow that accompanied Bill Frisell's Richter 858 recording has been made available on YouTube. The slideshow was originally included on the enhanced CD that came out in 2005. Time moves on and formats change, but happily the Gerhard Richter slideshow is now ready for you to blow up full screen to watch, listen and enjoy. The music? 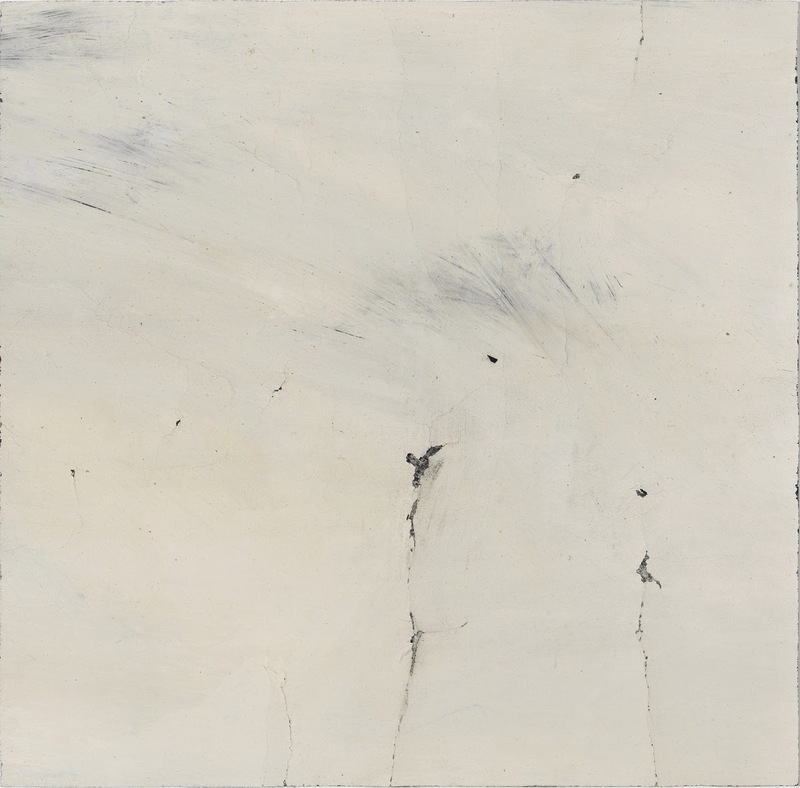 A mix of Frisell's more adventurous compositions that follow the contours and lines of Richter's squeegee paintings. 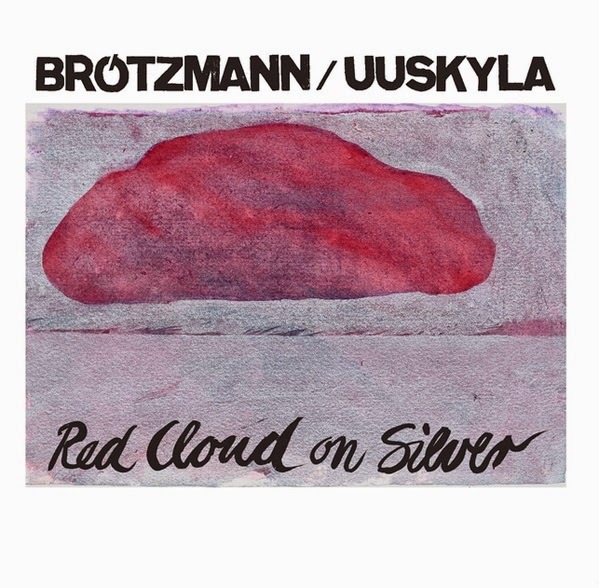 Performed by Bill Frisell (guitar), Jenny Scheinman (violin), Eyvind Kang (viola) and Hank Roberts (cello). 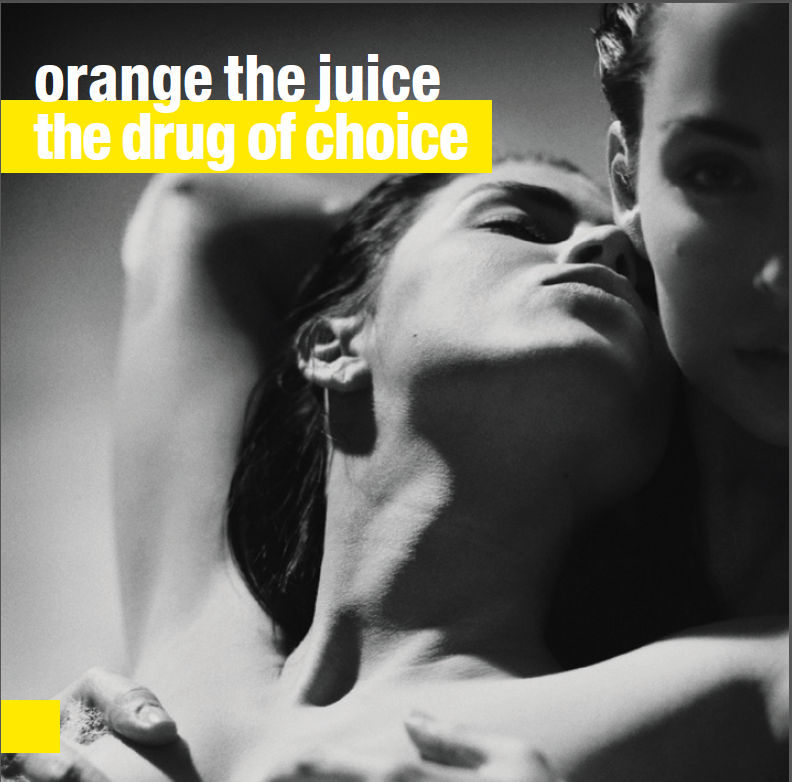 The Polish sextet Orange The Juice redefines the concept of eclecticism. This group is not only genre-blind, but its hyperactive post-modernist aesthetics transforms each of its pieces into a colorful pastiche of colors, dynamics and moods. 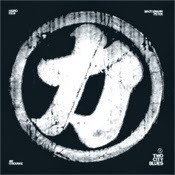 The group that began working in 2005 can blend what may sound as conflicting, even alienating elements, as surf music with metal, angelic choir singing with aggressive free improvisation, often in the same music sentence, moving organically between styles in lighting speed and millisecond precision. Orange The Juice is not shy from stressing its obvious influences. The dark sense of humor of Frank Zappa bands, the references to John Zorn work - the concise, tightly dense sonic mayhem of Naked city; lead vocalist Konrad Zawadzki performs with the same manic intensity of Naked City guest vocalist, Yamatsukea Eye, and gifted with charismatic theatrical personality similar to the one of another Zorn associate, Mike Patton; sax player Mariusz Godzina even quotes some of Zorn sax licks when he plays the alto sax; and guitarist David Lewandowski sound owes much to Marc Ribot sound in Zorn’s The Dreamers and Electric Masada. But Orange The Juice musical stew by no means an updated replica of Zorn’s bands. There are many more ingredients in its musical stew, from atmospheric prog-rock to intoxicating Balkan brass band songs, jumping between a mockery of the apocalyptic nightmares of death metal bands as fellow Polish Behemoth to festive ska anthems, Chopinesque keyboard intervals and electronic, lounge-techno beats, spicing it with a disturbing fascination with the Daleks, the notorious extraterrestrial mutants from the TV science-fiction series Doctor Who. The Drug of Choice is the group first live recording. 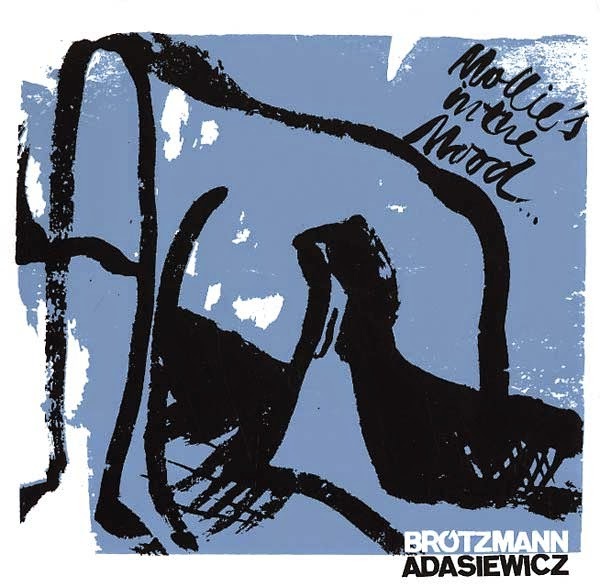 It is a double Disc/DVD that documents the group performance in Teatr Rozmaitości in Warsaw in October 2012, augmented with three horn players (on most of the songs but excel on moving, poetic arrangement of “Sabat Mater”) and the Voice of Poland finalist Ida Zalewska (on the schizophrenic soul-metal “I Was Wrong”). If one can not experience this group alive, the best alternative is to watch it perform on the almost 80-minutes DVD (the set list is identical to the disc), showing the group as photographed by seven cameramen. 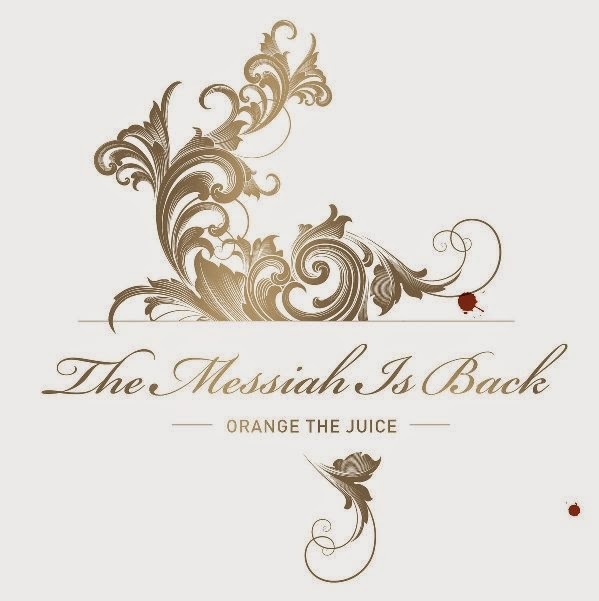 The limited-edition (comes with a special cover full with Polish toffee candies) The Messiah is Back is another live recording, this time in the band hometown Stalowa Wola, again with guests, among them sax player Maciej Obara, Zalewska and the local Cantus Choir. 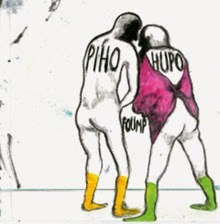 It feature the same songs (except the brief “A body without A Head” and a hidden instrumental, loungey bonus track) in similar yet expanded arrangements. These two live recordings take the listener/watcher into a joyful roller coaster ride. Orange The Juice is a group that feels natural on stage, before an audience, often one that can or does not expect its full palette of sounds, Only on stage the group full potential is realized. The reckless energy, wild intensity, impressive sense of drama, the commanding technical skills of all group musicians and fascinating stage presence of frontman Zawadzki (who seem as totally possessed by higher powers) justify the immediate invitation of this fascinating group to any major rock or jazz festival. The group is impressive, and it was the their collective sound that besotted me right away. Melford of course is on piano; on guitar, Liberty Ellman; bass guitar, Stomu Takeishi; cornet, Ron Miles; and drums, Tyshawn Sorey. At this particular show, clarinetist Ben Goldberg subbed for Miles, but on record it's Miles' lyrical tone that helps round out the group’s edgy but restrained tone and energy. Besides the group's well rounded sound, there is also a great deal of improvisation that flows seamlessly in and out of the written material. 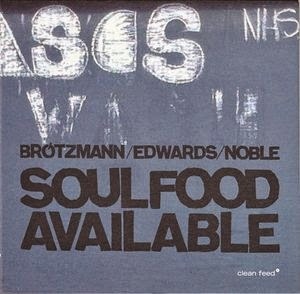 Ellman’s fretwork really shines on the recording, from the syncopated blast of energy of the opening track, to the gorgeous chordal solo on “Night of Sorrow”, to the rock solid delivery on “First Protest” and beyond. Takeishi’s takes full advantage of the sound of his acoustic bass guitar, as opposed to the electric or upright bass, and he uses it to make the bass lines a real melodic presence. He fills in and around the spaces, for example, playing wonderfully off Melford’s bluesy references on tracks like “Night of Sorrow”. I have yet to encounter a recording - or show - where Sorey doesn’t impress in some way, and it’s no different here, his work on the kit throughout is never dominating and always spot on. Miles’ playing is a highlight on “Promise Land”, between the interplay with Melford during the track’s opening and his solo during the song, it is a treat. As Melford explains in the liner notes, the music was initially inspired by author Eduardo Galeano's 'Memoria del fuego', a collection that mixes fiction and history to tell the story of the New World. 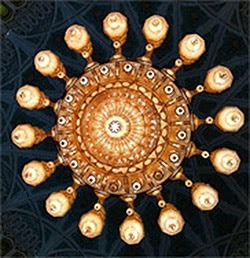 From this, the music mixes in rhythms and textures evocative of the America's, while creating something else entirely. 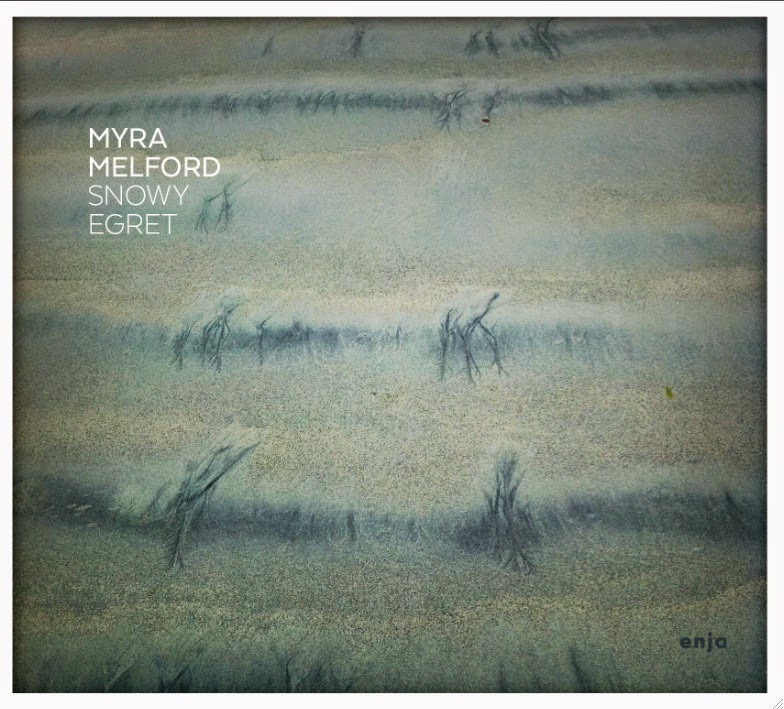 Snowy Egret is a really beautiful album - and though it somewhat expands the ‘free jazz’ definition of the blog, it would be a terrible shame not to rave about it a bit. 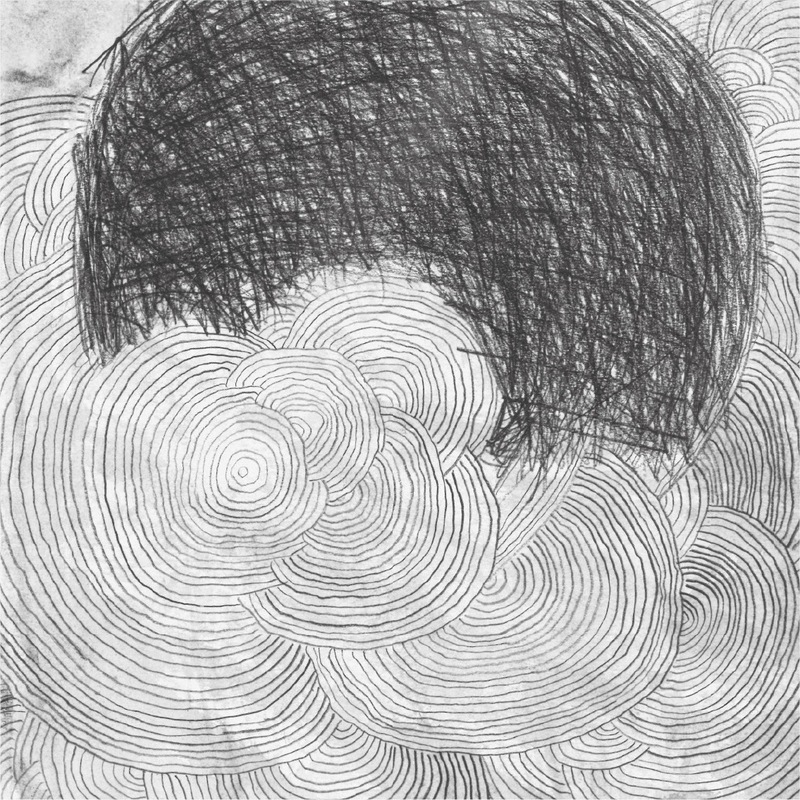 Snowy Egret is performing during Melford's residency this week at the Stone in NYC. They perform on Saturday, March 28th. To co-create improvised music that is not only coherent, but that is also captivating and beautiful, remains an amazing thing of magic. And here we can listen to this musical magic from a Portuguese trio that deserves wider attention : Joana Guerra plays cello, Ricardo Ribeiro bass and soprano clarinets, and Carlos Godinho objects (wooden boxes, plates, a bicycle bell, balloons, billiard balls and sticks). Their music is measured and open-ended. One instrument takes the lead, and when the others join they add color, depth and expand. As simple as that. Or not? 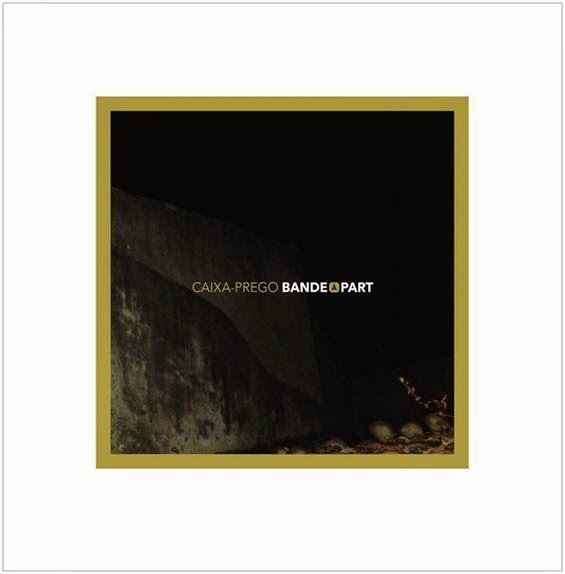 The result is intimate and restless, calm and intense, familiar and unsettling, moving between odd sounds and sometimes repetitive phrases as the backbone for the piece, as on the haunting "Chapa 3", the centerpiece of the album. 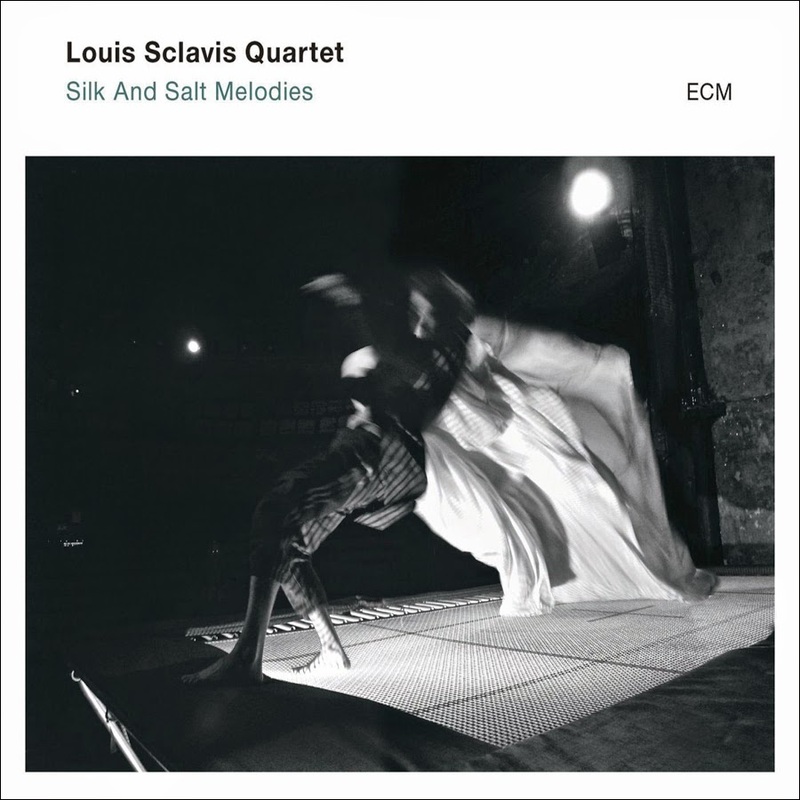 The trio manages to create a very warm and surprising album, elegant and gentle but with strong character, less focused on individual sounds than it is on group exploration of atmosphere and texture, skilfully navigating between lyricism, silence and adventure. The music of Boston's Leap of Faith is both easy and difficult to describe. I suppose I could string together some words like 'cathartic', 'intriguing', 'harrowing' and phrases like 'nightmarishly enthralling' and 'unexpectedly beautiful' and call it a day, after all, Leap of Faith is a fascinating and utterly unique group and those words work. But at the same time, they just don't quite capture the essence of this uninhibited music - and raw sound - that they make. Though many musicians have passed through the ranks, at its core the group is the duo of woodwind player PEK and cellist Glynis Lomon, who both also add some pretty intense vocalization to the sonic palette. Joining them on the first half of the recording is Steve Norton on sax and clarinet and Yuri Zbitnov on percussion. 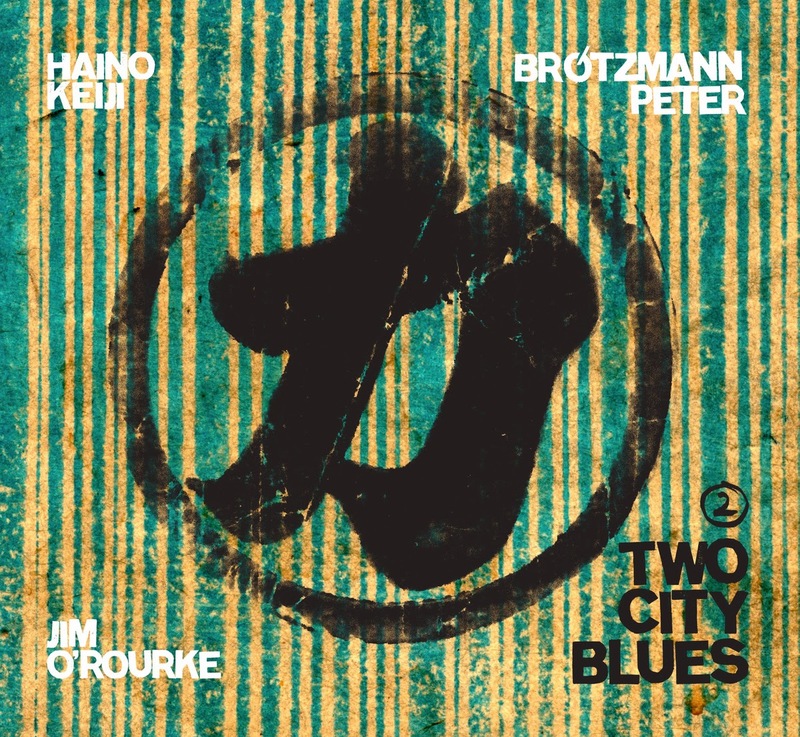 However, on the second part of the album PEK and Lomon are joined by Mark McGrain (trombone), Craig Schildhauer (bass), Sydney Smart (drums), Laurence Cook (drums), Rob Bethel (cello) and Forrest Larsen (viola). This new digital and CD-R recording, Regenerations, was made as they got back together to play in January of this year, the first get together after their initial run from 1993 - 2006. It sounds like they leaped right in without missing a beat (or totally missing one, perhaps). Starting with a low vibration from Lomon's cello and the saxophones of PEK and Norton, between whom there is quite an assortment of instruments, they dig in and go. Within the first few minutes of the track, the inventiveness of the group is on full display. 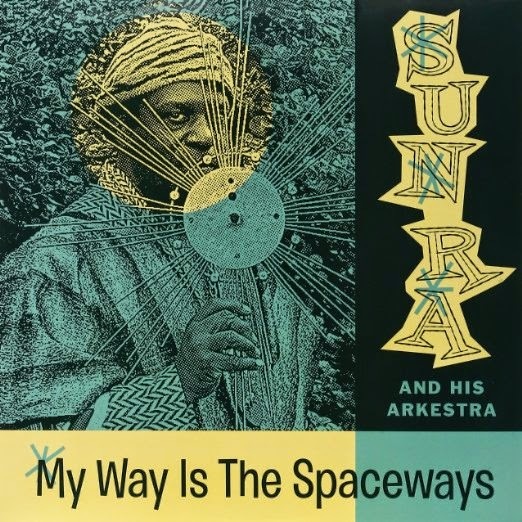 Their sound is organic, it grows from within, and there is an arc to the track that belies either an uncanny connection or some pre-planned moves as there is an inherent structure and motion to the sound. That's the intriguing part, however, there is also the harrowing, which to me is found often when the wordless vocals appear, cutting clearly through the fabric of sound. The track will go from a reflective passage on a low woodwind to a dense thicket of cello double stops to juxtaposed harmonies, and just as quickly, it may delve into percussive textures and spontaneous intertwining melodies. It's this potent mix of instrumental timbers and unexpected changes that make their music so effective. Following the first track (which clocks in at 43 minutes) are the three movements of "Subspace". The larger group's work with the expanded instrumentation produces something that is less dark, but a bit more fragmented. The interplay of horns and woodwinds also introduces a lot of counter motion. The second movement is 24 minutes and reserves the power of the band until about a third of the way through, when the drums and bass begin a sort of swing and strings rain glissandos. As the track progresses it's just as likely that the tempo or tone may dissipate as it will congeal, keeping the listener on their toes. This is one of the most captivating pieces on a dense album. Leap of Faith is not a group that provides music that is easy to digest - there is a lot to hear and it's music that requires your full attention. Approach with open ears and patience and you will find a world that is as colorful and textured as the fractal images that adorn their album covers. You were quite active musically with Leap of Faith for a number of years, then there was a hiatus. What brings you back together now? In 1999 I changed to a different day gig which paid much better but was very demanding on my schedule. After a few years of trying to stay as busy musically as I had been for the previous 10 years, I got exhausted and went into retirement from performance. Glynis continued to be active with others during my absence from the scene. Although I stopped performing, I did not stop listening and continued to collect New Music. I became a frequent customer of Downtown Music Gallery – I have now read and purchased music from their list every week for many years. In Early 2014, when I was in Manhattan on business, I went over to DMG and had a very interesting conversation with Bruce Gallanter, who knew me at that time only as a customer and not as a musician. I told him about Leap of Faith and arranged to send him some discs on consignment. I sent him about 15 titles of discs that I produced in the 90s or early 00s, he wrote up reviews for about half of them and sold virtually every copy. I have since sent him a batch of new titles with more to come. I realized that the climate of music distribution has undergone a dramatic transformation during my absence from performance, and that it was now possible to use the internet to reach a much broader audience than the Boston area audience we reached when I was active. I was inspired by that realization to do two things: 1) Mine all of the releasable recordings from the early period performances and prepare new CDs and download files. 2) Reform Leap of Faith and resume performing and recording. 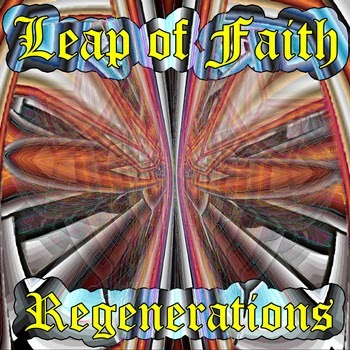 The Leap of Faith back-catalog is now complete and posted on the Evil Clown Bandcamp page at https://evilclown.bandcamp.com/. There are 10 or 20 or so albums by other PEK ensembles and projects that are still pending. In addition, I have offered to put recordings from Glynis’ ensembles on Evil Clown and she is going to discuss with Eric Zinman from New Language Collaborative which recordings may be appropriate for that band. Leap of Faith is a partnership between Glynis and myself that has had a number of primary incarnation and many guests. Without Glynis, I would never call any ensemble Leap of Faith. She was available and interested and so we invited Yuri Zbitnov, the drummer from the last LOF incarnation, and Steve Norton, the sax and clarinet player who played on my 1994 composition Expansions, to join the reformed band. How was it getting back together to play? Did you fall back into it, or was there some adjustment? I encountered Glynis at a critical juncture in my musical development when I had been studying for many years but had yet to do much pure improvisation with skilled new music players. She was an important part of the Masashi Harada sextet, a band we were both in for several years in the early 90s. She had been around in the scene already for years and had already cultivated the musical language for improvisation that she still uses today. To a significant degree, my mature musical language developed as a direct reaction to Glynis. We developed a common musical space that we augmented with the other players in the various versions of LOF. 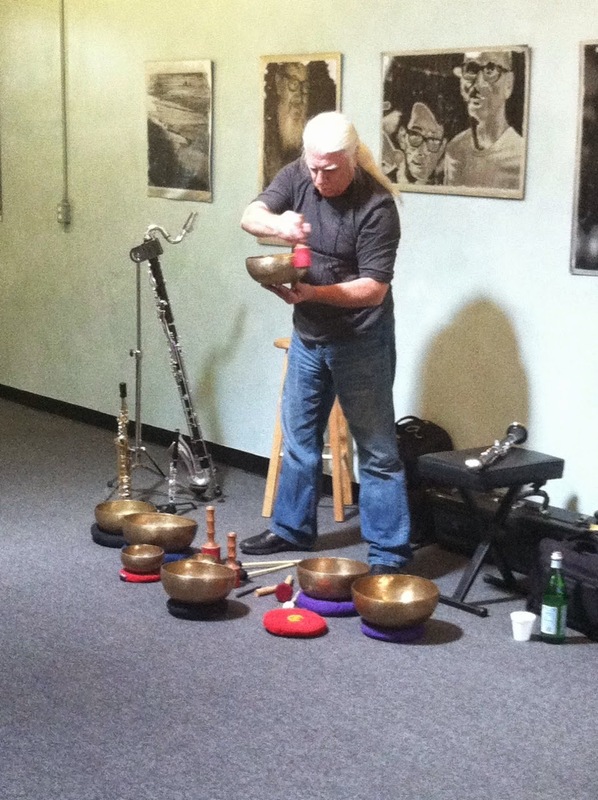 When we played again for the first time on 1/22/15, for me it was a transcendent experience – I was immediately able to enter the deep concentration trance state that one enters when playing with accomplished improvisers. I had an immediate deep connection with Glynis and the rest of the ensemble. So, I would say that we fell back into it with no special effort. That very first new set is the title track 'Regenerations' on the newly released Regenerations album. How would you describe Leap of Faith music? Can you describe your groups’ creative process? I do not like the expression Free Jazz for our music because there are seldom jazz references in the music. I also do not really like the expression Free Improvisation for our music because it implies that there is no structure to the music. I use the expression Pure Improvisation to describe our music. It is pure in the sense that we have little or no discussion or planning prior to performance. When you eliminate structural rules from music you must replace them with new rules for the music to be artistically successful. Our improvisation methodology eliminates metric and regular time in addition to tonality and the melodic / harmonic relationships which have defined western music for hundreds of years. We replace metric and regular time with rhythmic density and propulsion. We replace melodic / harmonic relationships with sonority. Each performance of our music is a journey through a sequence of distinct sonorities with either gradual or abrupt transformations. Over time, each version of Leap of Faith has developed a number of sonority states which become staple for that ensemble. An example one from the current LOF is PEK and Steve Norton on very low clarinets playing slow low-pitch intertwining atonal melody with active / aggressive cello and percussion. The new rules that inform the decision making of the musicians during performance are hard to articulate to outsiders, they are not written down or formalized, and the set of these rules is not closed (meaning unexpected or new rules may arise), but they are in effect while we play. A rule is a decision making aide – given the sounds that are being made by the rest of the ensemble, what sounds could I or should I contribute to the overall group sonority? Three important structural devices contribute to the development of each performance and give a sense of some of the rules and how they operate. 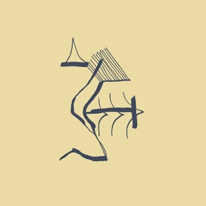 Imitation of the sounds of one instrument by another leads to a blended sonority where it is difficult to tell which instrument is making which sound – this is especially difficult when the instruments are making complex aggregate sounds which mesh together. The opposite of the blended sound is a contrasting or contrapuntal sound. It is possible for both sound sets to coexist within one sonority when at least 3 people are in the ensemble. One of the primary characteristics of the PEK / Glynis Lomon musical partnership is the number of different ways we imitate each other even though she plays a string instrument and I play woodwinds. Phrasing, which is important in all music, is incredibly important for Leap of Faith. Like in Gamelan music, there are simultaneously large and small scale phrases. The individual musicians can phrase together or overlap their phrases. Sonority is also driven by phrasing. An example is a chase sonority with short overlapping phrases of rapidly moving lines. In addition, when the ends of phrases happen together an ensemble decision node is created where an abrupt transformation into a completely different sonority is possible. Instrument changes and laying out are dramatic ways for one member of the group to transform the unit sonority. In the course of a typical LOF quartet performance there should be solos, duets and trios in addition to full ensemble improvisation. Two exciting new developments in the new incarnation of Leap of Faith will contribute to this structural device. One is the addition of new member Steve Norton who uses 8 different clarinets and saxophones. The second is PEK’s acquisition of many new instruments. He used tenor and bari saxophone, clarinet, bass clarinet and contra-bass clarinet, and bassoon for the bulk of the early Leap of Faith period. PEK has added 3 higher saxophones, 3 more clarinets, oboe, English horn and contrabassoon. I had the oboe in time for Regenerations, the new sonorities available to this significantly increased timbre-set will become apparent over time. What are the future plans for Leap of Faith? Back in the day, in my busiest years, I performed about 30 or 40 times a year. With the demanding job that I still have, there is no way that I can be that busy. I envision 6-10 Leap of Faith performances a year. I have this week finished scheduling our first two gigs for 5/5 and 6/16. They will take place at the Lily Pad in Cambridge, which looks to be a good small venue for us to develop the new incarnation of Leap of Faith. I plan to rent this room every two months on a Tuesday night for the whole night which will let me control the event. We will emulate a performance paradigm we did many times at the Zeitgiest Gallery in Cambridge during the early period. 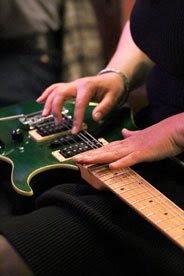 We will have two improvisation ensembles playing 3 sets – each band plays a set and then both bands perform together. The larger ensemble LOF performances in the Evil Clown catalog almost all come from this scenario at the Zeitgeist. The first gig on 5/5 will have as a Guest the New Language Collaborative - Glynis’s ongoing trio with Eric Zinman on piano and Sydney Smart on drums. The second gig on 6/16 will be Original Leap of Faith with PEK, Glynis, Mark McGrain on trombone, and Sydney Smart on drums; and New Leap of Faith with Glynis, PEK, Steve Norton, and Yuri Zbitnov. I am looking forward to the third set of this gig with Glynis, three horns and two drummers. The audience for New Music is worldwide. The audience in Boston is fairly small. I want to use the internet, with articles like the one you are writing, and other press to make us more well-known to the people who like this music regardless of their locations. There is plenty of our music for people to listen to. My goal is to raise awareness of this group to the point where we can present it at the Stone in NYC. 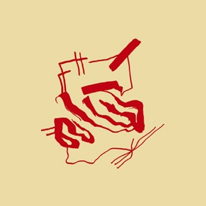 My feeling is that LOF is a highly distinct mature improvisation ensemble that performs at the level of the other much more well-known ensembles that play at that venue. I feel I owe a good deal of thanks to Soft Machine - it was many years ago now that Third blew my mind and led me circuitously to the tangentially related El Skid, which just led me deeper and deeper. My collection is now well stocked with Soft Machine, various Soft Heap and Head projects, and select pickings of the greater Canterbury scene. Notorious for their changing lineup, 1974 saw Soft Machine competing their transformation from an avant-garde rock-jazz quartet to a Fusion jazz-rock quintet (you can see a nice chart of the line ups here). In fact, the albums Bundles and its follow-up Softs had some real biting guitar work from Allan Holdsworth and his successor John Etheridge - this from a band that had been more linked with the reedy bite of the organ and Elton Dean’s endlessly riveting saxophone work. The only member of the original band at this time was organist Mike Ratledge, though drummer John Marshall had joined a few years earlier after Robert Wyatt had left the group. Hugh Hopper's (fuzz) bass was replaced by Roy Babbington and his six string electric, and Dean by composer/keyboardist/woodwind player Karl Jenkins - both of whom, along with Holdsworth and Marshall, had been with Ian Carr's Nucleus at some point. So, it was this line up Jenkins, Ratledge, Babbington, Holdsworth, and Marshall, about to record the seminal fusion album Bundles, who appear on this DVD release. 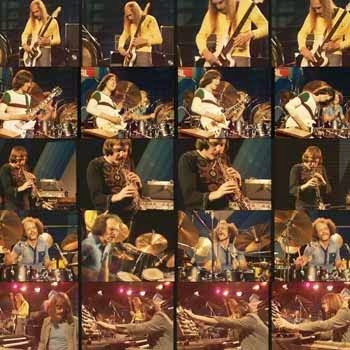 That year at Switzerland's Montreux festival, the line up was heavy on the jazz-rock: along with Soft Machine was Billy Cobham’s Spectrum, Larry Coryell’s Eleventh House, and John McLaughlin's Mahavishnu Orchestra - a mouthwatering line-up 41 years later! Of this Soft Machine recording, I've certainly seen snippets of it on YouTube but to my knowledge, the whole set hasn't been available to date, and even if it had, it would have not looked and sounded so good. Cuneiform did a great job cleaning up and repairing the old tapes - the instruments are nicely separated and balanced and the video is as crisp as video is from the early 1970s. It’s fair to note that there are places where the audio quality changes or has some distortion at the edges, and as Cuneiform explains there were limitations to how much restoration could be done. 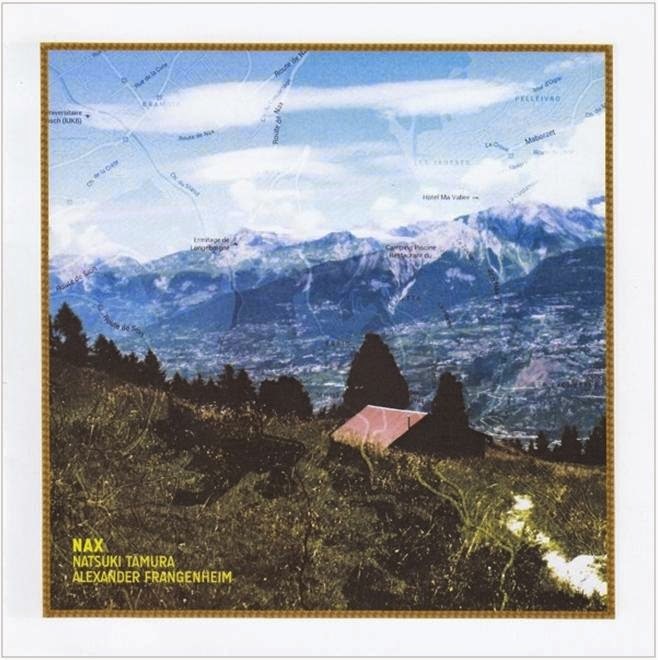 The repertoire is fairly well document and can basically be heard on the Floating World Live release from Moonjune Records, and most selections ended up on Bundles, but there are also some group improvisations and a medley from Sixth and Seventh. Following Holdsworth's vocalizations on Floating World is the nice solo piece ‘Ealing Comedy' from Babbington featuring some now classic effects. Ratledge and Marshall do an electronics/percussion duet that is both ahead of and right on time. It is a pleasure just to see the technology - the videographers focused in on some of the knobs, lights, and other fine looking things. It’s also great to see a young Allan Holdsworth making flawless transitions and delivering some lightning speed runs. 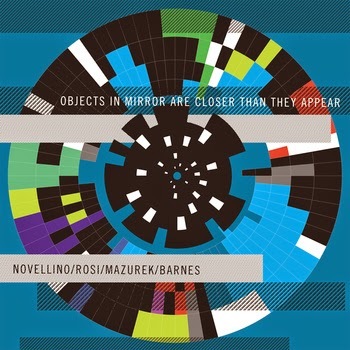 As a follow up to the NDR Jazz Workshop CD/DVD package from a couple years back, this is another excellent document of the group from one of it’s many creative peaks. Hugh Hopper was the original bassist of Soft Machine, and had left the band by the time the '74 concert (he can be seen briefly in the NDR Jazzworkshp concert from 1973, but by then he was just stopping by to run experimental tape loops). Memories is a box set or a series from Gonzo Media is releasing what will ultimately become a 10 CD set of archival recordings of Hopper’s work from his pre-Soft Machine early works from the mid-1960s to the more recent incarnations of his Franglo-Dutch bands and other collaborations. Hopper had a long career after Soft Machine and worked with Carla Bley, Elton Dean, Gary Windo, Lol Coxhill, Nick Evans, John Marshall, Robert Wyatt, Keith Tippett, Joe Gallivan and many others. He had also spent time towards the end of his life working with a rekindled Soft Machine Legacy led by guitarist John Etheridge. Hopper sadly passed away from Leukemia in 2009. 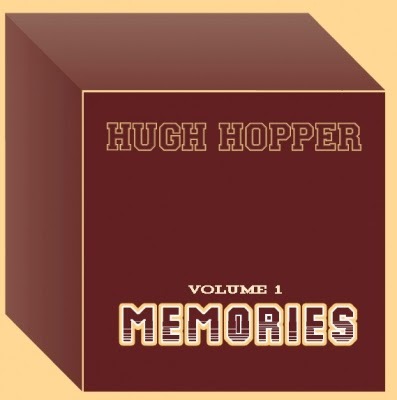 Vol 1 has some nice spoken word intros and stories from Hopper, and the first song is the jazz inflected 'Memories', composed by Hopper in the 1960s and sung by Robert Wyatt. It then skips ahead quite a bit forward to the work that Hopper was doing in the early aughts with 'Was a Friend' - a quiet raga-esque piece. He also visits some of his post-Soft Machine music like 'Sliding Dogs' and 'Miniluv' with the same group. Across the discs, we hear Soft Machine classics like 'Facelift' and many versions of his selections from 1984 and Monster Band, and it is rather interesting to hear the songs played by the different groups, at different tempos and with different approaches. Hopper's bass playing provides a bridge between the rock and jazz worlds, for example, his rendition of “Wanglo Saxon” on Vol 3 with Mike Travis, fuses a rather straight ahead jazz rhythm section with a extended fuzz bass solo. I could rattle on and on about each album, but would rather leave it that the Memories set is as a real treat for Hopper and Soft Machine fans.